Will last week’s slide sink its ‘FAANGs’ into the tech stocks? Last week was not a good time for the technology sector. Facebook (FB) and Twitter (TWTR) saw massive stock declines following their earnings results, along with Intel Corp. (INTC) which also dropped after a disappointing quarterly report. Despite the thunderstorms from these stocks, the stock market regained its footing helped by strong results from Amazon (AMZN) and Alphabet (GOOGL). This week, all eyes would be on how the FAANG stocks (Facebook, Apple, Amazon, Netflix, and Google) are doing. Strong earnings across other sectors also helped the stock market. Apple (AAPL) will report earnings this week and how this will affect the tech sector is something everyone has their eyes on. The economic growth, the rise in labor and strong earnings results in various industries pushed stocks higher across a broad range of sectors in the market. Several stocks in the retail sector which were struggling managed to see growth this year and the majority of sectors in the S&P 500 have been seeing gains during the last three months. 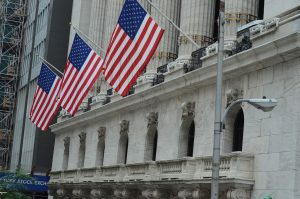 This has led to the belief that the stock market is not completely reliant on a few technology stocks and that it can pretty much sustain itself in spite of what happens with Facebook or any other stock. Some investment firms continue to have faith in the FAANG stocks like Amazon and Google because they believe these companies will prevail thanks to their ability to come up with innovative ideas and effective growth strategies. There are others who believe investors should reduce their holdings in tech stocks and not overly depend on them as, in their opinion, these companies are not flawless and, in simple words, anything can happen. The sell-off seen in tech stocks on Monday did not help the sector’s ailing reputation. 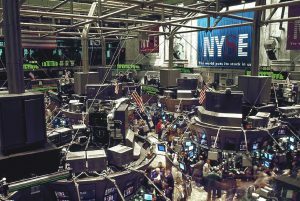 It pulled down major US indexes and led to a drop of 1.5% in the Nasdaq 100 which has a fair share of tech stocks. Speculations over tougher regulations and a slowdown in the tech industry are raising concerns among investors. It appears as though most of them are now bracing for a major collapse in the technology sector. As this week rolls out, there might be more clarity on the future of the FAANGs although there seems to be a fair chance that the giants won’t go down that easy.